Your background is in HIV research. How have the fields of HIV research and public health changed over the years? Right now, things are very tight in terms of funding. US Government projects like PEPFAR [the US President’s Emergency Plan for AIDS Relief] are working to transition the leadership of caring for HIV infected individuals from international development organisations to local governments and indigenous organisations. The purpose of this change in approach is to create programmes that can be led and sustained by the countries themselves. US universities and non-governmental organisations are expected to remain involved in capacity-building and technical assistance but with a much reduced role. So now, we [IHV] will play more of a supportive role. This shift to local ownership is a good thing, but it needs to be rolled out over a significant period of time to allow for the appropriate oversight to be put in place. Programme monitoring and evaluation is a critical piece to ensure the best possible use of funds and best care for patients. How have these recent changes influenced laboratory capacity? IHVN now has well-trained laboratory staff to continue supporting sites that provide HIV treatment, care and prevention, but we need to continue building capacity over several years, and form networks and partnerships to strengthen these programmes. ASLM is taking a clear leadership role in building laboratory capacity and maintaining partnerships; this is very important. What do you think ASLM’s role will be in bringing together relevant parties through a coordinated approach? I think that if one goes in and improves situations technically and practically, no one will argue with that. ASLM will make an impact…it is beginning to chip away at the problems that prevent African countries from moving forward with this practical approach to laboratory capacity build- ing. For example, let’s look at the WHO/AFRO [World Health Organisation/African Regional Office] stepwise accreditation process. WHO/AFRO has created an excellent programme, but they can’t do everything by themselves. This is where ASLM can step in, roll up their sleeves, get on the ground and help countries make WHO/AFRO accreditation goals a reality. WHO/AFRO has developed policy, and I see ASLM coming in and making it happen. This is what we need on the continent. ASLM has been in office for only one year, and there are already three new 5-starred labs with great support from CDC-Nigeria, the government of Nigeria’s accrediting body and the indigenous implementing partners such as IHVN. This kind of coordinated approach by ASLM will lead to greater success in Africa. The journal [African Journal of Laboratory Medicine] is important too, as it supports the mentoring of young people, helping them to be successful in grant-writing and in publishing their scientific findings. What is your role in ASLM2012, the Society’s first international conference? I’ve been working with some of the conference planning committees. I’m in the Scientific Committee, which plans the content of the meeting and also ensures that scientific leaders attend the conference. My main role is to bring in delegates and speakers. 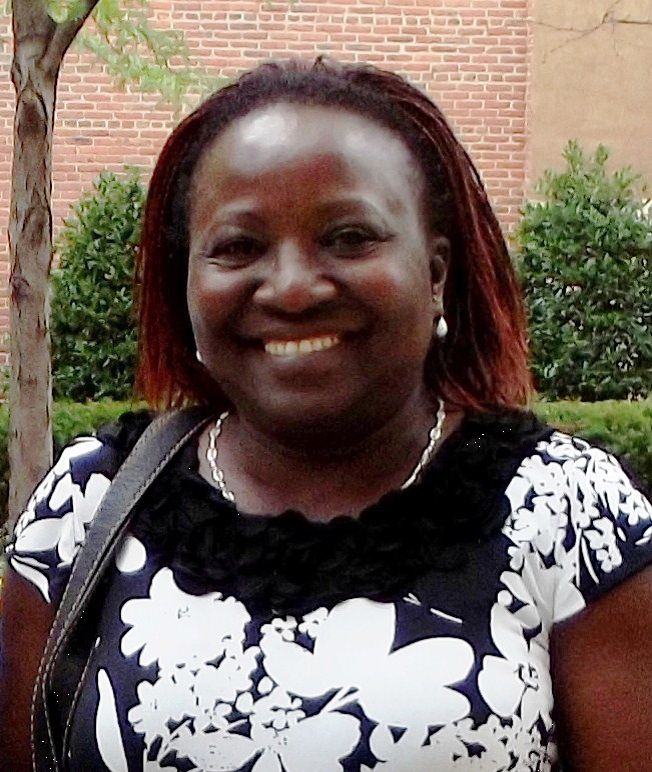 Alash’le Abimiku, PhD, a virologist with 21 years of experience researching HIV, is a member of the ASLM Board of Directors and a plenary speaker for ASLM’s first international conference (ASLM2012). Dr. Abimiku is an Associate Professor at the Institute of Human Virology (IHV) of the University of Maryland School of Medicine, Division of Epidemiology and Prevention. She is also the Director of the Office of Laboratory Diagnostics and Research of IHV- Nigeria (IHVN). IHV, located in Baltimore, Maryland, USA, is an institute focus- ing on chronic viral diseases, particularly HIV/AIDS. You will speak at a plenary session at ASLM2012. What will be the subject of your presentation? My talk will have a very positive message, which is that the Africa of today is not the same as it was ten years ago. Funding from PEPFAR, from the Global Fund, and from others has really changed the face of the continent to a point where African investigators and African staff do not accept low-quality [laboratory] work. It’s a beautiful thing to see. Laboratory professionals across Africa are now realizing they have the chance to compete with and attain the same quality standards as laboratories in developed countries. Furthermore, accreditation is no longer the monster that everyone runs away from. The stepwise process means that laboratories can improve in small, manageable, incremental steps. This, as well as the availability of open access research through the internet, affects the laboratory in a positive way.